In DC’s exploding real estate market, they were finding that this was a nearly impossible combination. Tastemakers found Brookland to be a funky, diverse, and welcoming neighborhood – a really a good representation of DC. 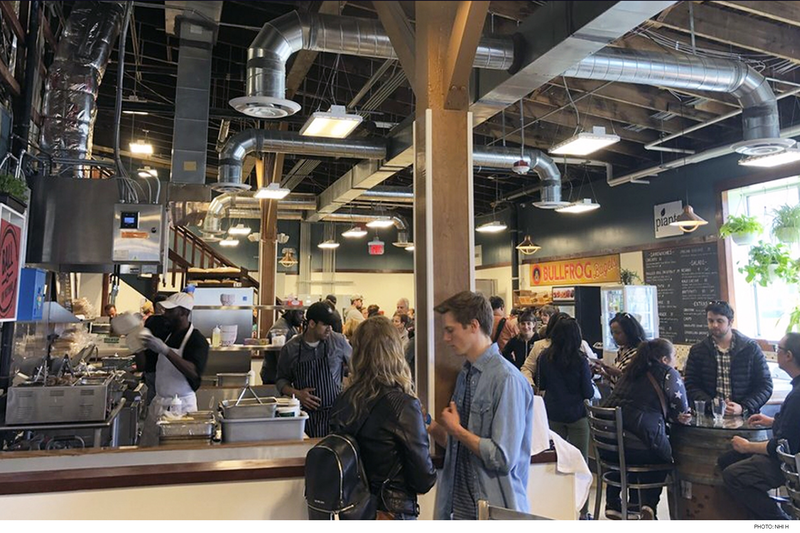 NRG found the perfect location with a rent that fit their budget, ‘good bones’ to build out our kitchen, plus metro access and a space large enough for a utility service large kitchen. With a little creativity, and by demolishing an old walkway, they were able to turn 5 parking spaces into 12. Kitchen, food hall, cooking classes, and grocery all under the same roof. Tastemakers’ wanted to convey a friendly, professional, and high-energy atmosphere. 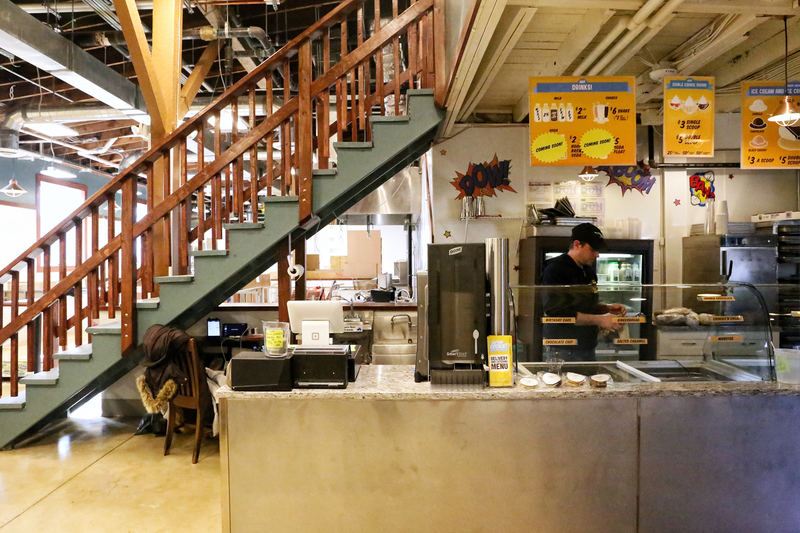 Tastemakers is a fully green facility with a rigorous food waste donation & composting program to go with their recycling and grease recycling endeavors. They also installed solar panels over 60% of the roof and are generating 30-50% of their power onsite. They worked with the DC Sustainable Energy Utility when constructing the interior to install energy-efficient LED lighting, ultra-efficient water and heating systems, and 3-phase electrical service to the larger appliances. They have been well-received by the neighborhood and have become a destination location. Known for it’s fun and eclectic mix of food and drink options, it has become the place to go if you crave variety and local cuisine. 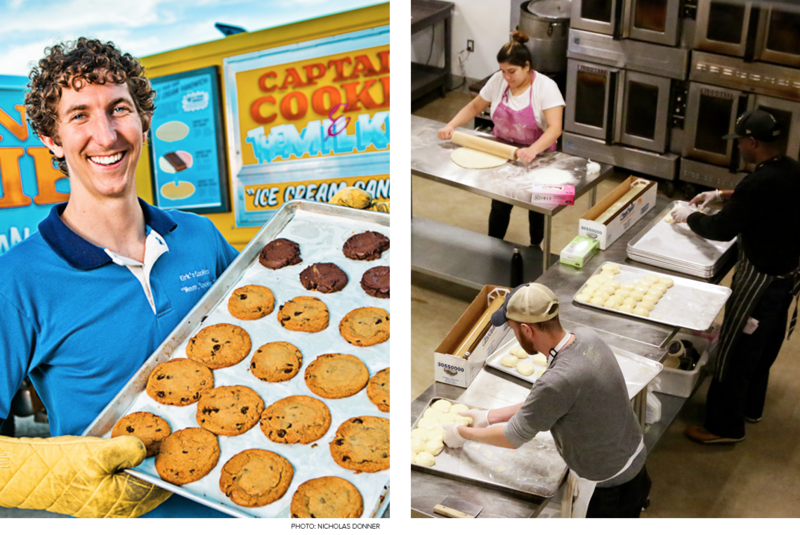 We hope this facility helps launch and sustain DC’s next generation of food entrepreneurs, just like Kirk got his start ten years ago making cookies out of a kitchen-by-the-hour in Alexandria!